FHI360 is a nonprofit human development organization dedicated to improving lives in lasting ways by advancing integrated, locally driven solutions. 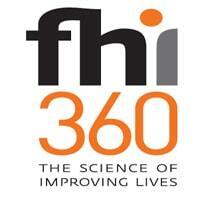 Our staff include experts in Health, Education, Nutrition, Environment, Economic Development, Civil Society, Gender, Youth, Research and Technology; creating a unique mix of capabilities to address today’s interrelated development challenges, FHI 360 serves more than 60 countries. Currently, we are seeking suitably qualified candidates to fill in vacant positions of Regional Technical Managers in Mtwara and Iringa for USAID Boresha Afya Southern Zone Project. • Proficiency in Microsoft Office applications such as MS Word, Excel, PowerPoint • Familiarity with m-Health platforms and its use • Ability to manage tight deadlines and deliver high volumes of work with minimal supervision • Ability to intervene with staff with diplomacy and firmness • Ability to travel to implementation districts a minimum of 50%.